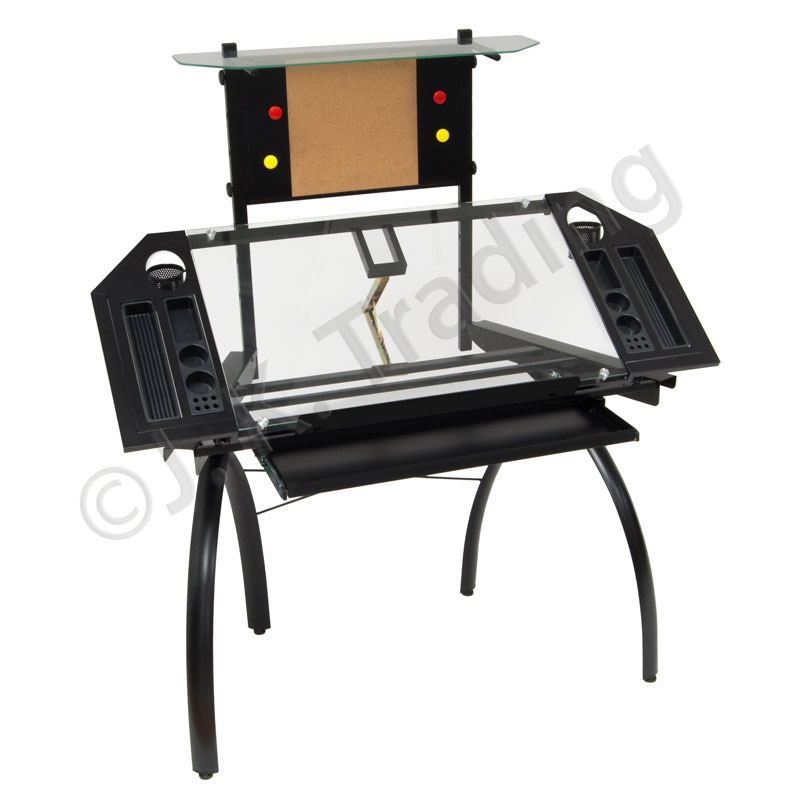 Our ever popular glass drafting table with tower is now available with a black metal frame — previously it was only available with a stylish silver frame. Even better, it’s on sale at the introductory price of $261.99. Like its silver framed counterpart, the black table has a table top that can be adjusted for height and tilt. To the side there’s open trays for pens, pencils, erasers and other equipment. Crafted from sturdy steel, this drafting table is designed to last aeons, and is perfect for those with an arty inclination.